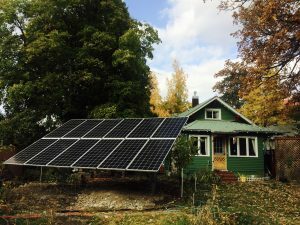 Montana Department of Environmental Quality offers $0 down, low-interest loans for solar and other alternative energy systems. Call 406-444-6586 or click here for details. The Montana Department of Environmental Quality offers $0 down, low-interest loans for solar installations and other alternative energy systems to individuals, small businesses, nonprofit organizations and government entities. For details about the Alternative Energy Revolving Loan Program, call 406-444-6586, or click here. Residential 30% Renewable Energy Credit (thru 2019)This tax credit is applicable for all primary and secondary private homes. It includes all associated costs, such as installation and electrical work. Montana State provides a 500.00 per tax payer tax credit, or 1000.00 per couple for your solar installation.